As a housewife, you are intended to be able in managing the house finance and needs. Your ability really determines the wealth of your family. If you make a great blunder in managing finance, you will get trouble in dealing with future investment and emergency money. Therefore, you have to be smart and selective to fulfill the entire needs and future plan. We have summarized some tips for a housewife in managing finance for today and future goodness. This is important for you to have financial plan. 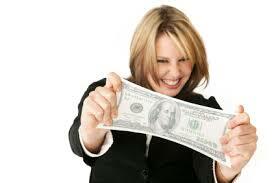 Financial plan makes you easy in managing the finance of your household. You can easily note every single transaction that you have made in that financial plan book. You can also write every single need that you have to buy for specific period. When you have clear note about any stuffs which are going to be bought, you will never get huge expenses. While making note about “what to buy”, you are also need to be selective by determining the monthly income. When you have claimed yourself as a housewife, you are expected to be able in cooking. The ability in cooking really gives significant impact to your finance. You have to know that cooking meals by your own self must be cheaper than buying food outside there. It can really make your finance prudent in wealth. Moreover, cooking food can also makes your family in healthy lifestyle. As a housewife, you have known the best food stuffs which are going to be served for them.